Brown: Imagine, this is your car. Now imagine, this is your car in wreck. Moore: Injuries cost money, medical bills, lost wages and pain and suffering. Often, we can get you more money than the insurance company will tell you about. Brown: And often, we can get it for you without you having to go to court. Moore: Imagine, we do all the work and could get you more. Brown: Car wreck? 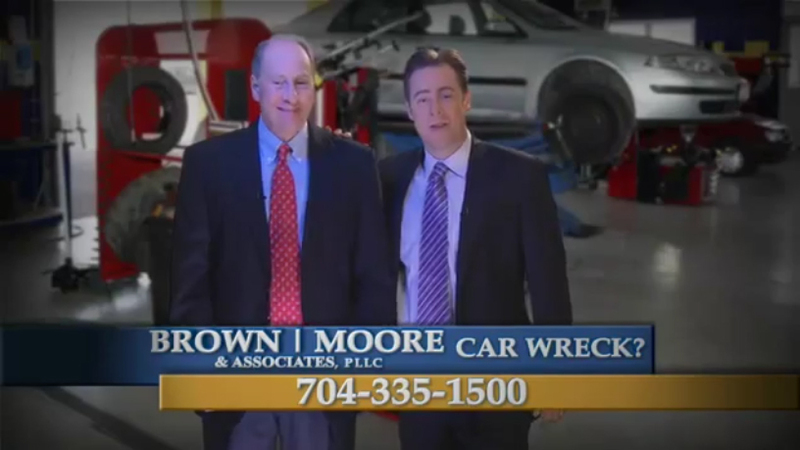 Call us, Attorneys Brown and Moore. Moore: And image all the help you can get from the good guys.